Seasoned veterans of political campaigns, policy development, and independent entrepreneurship, the Oklahoma Cannabis Industry Association staff provides an unparalleled degree of legal, political, and strategic planning services to the members of our industry. Bud Scott is a licensed attorney with extensive experience representing diverse, innovative clients, including professional associations, agricultural, food and alcohol enterprises, wind energy developers, tribal governments, and cannabis businesses in Colorado and Oklahoma. Bud Scott possesses a unique understanding of national cannabis regulations, land use and zoning laws, food and agriculture regulations, and tribal law, providing OCIA's members with expert legal guidance and strategic planning. From town halls to Washington, DC, Bud has represented clients before numerous federal, state, tribal and local legislative bodies and regulatory agencies, in addition to having successfully developed and managed several candidate and issue based campaigns. In 2018, Bud was appointed to the Food Safety Standards Board to develop medical marijuana processing regulations by Oklahoma Commissioner of Health Tom Bates and has been instrumental in developing Oklah9oma cannabis policy through city ordinance, diverse agency regulations, and Oklahoma legislative proposals. Bud received his B.A. (Letters) and B.S. (Botany) from the University of Oklahoma and his J.D. (Tribal Law & Energy Law Certificates) from the University of Kansas School of Law. 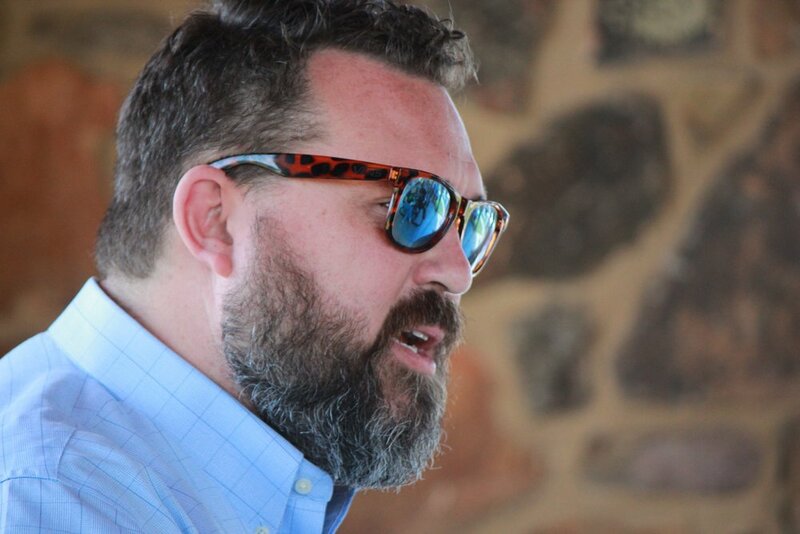 With over 20 years of experience running political campaigns at the local, state, and national level, Jed Green is an accomplished and respected political strategist with demonstrated efficacy in ground campaigns, campaign implementation, and messaging. In addition to these unique skills, Jed Green provides construction, project management and development oversight and execution on agricultural and diversification projects. Jed serves as the hemp program/project specialist at the OCIA. Beyond consistently breaking voter turnout records in local and statewide elections, Jed has extensive experience cultivating organic heirloom produce, developing rich living soils, and managing diverse construction projects. As such, Jed spends much of his time as Operations Manager for one of our related farming projects. Kalin Bellmard is a United States Army veteran and impending graduate from the University of Central Oklahoma’s Political Science program. Also possessing extensive political campaign and project implementation experience, Kalin handles most OCIA membership matters, conducts research, and assists with policy monitoring and advocacy. As the primary point of contact for members and interested applicants, Kalin also coordinates most of the membership events, addresses inquiries, and coordinates external communications. Kalin is a loyal, effective soldier for Oklahoma’s cannabis industry. Elected to two year staggered terms, our Board of Directors include the largest financial and materials contributors to the medical marijuana legalization effort in Oklahoma and represent several segments of the cannabis industry, various sizes of operations, and geographical regions. We are honored to have their support, participation, and commitment to this industry!